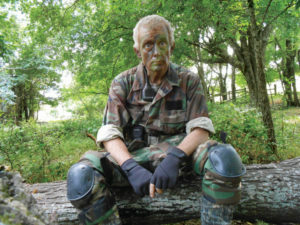 On this episode of I AM Liberty I wanted to take some time to talk about the pit falls I have ended up in or the miss steps based on starting as a prepper. You know it’s easy to get all worked up and start making decisions based on the news and before your know it you have racked up some serious debt or you bought too much of the wrong thing and now you need to get rid of that, too! When I was just 25 years old when I got started in prepping and I was a new father as well. This meant that I was making bad decisions all throughout the process. You should know about them. Also easy is to make mistakes early on because of the fear. You will be driven by the fear. When you live your life oblivious to the terror that is possible in our world and then get smacked in the face with reality you go into a bit of panic mode. I think that’s normal. I have watched even the most thoughtful people start making DOOMSDAY plans after listening to me talk or reading something I give the. The reality is just so stark that it forces you into…well….survival mode. That said these early mistakes can be avoided if you are careful and informed. If you listen to my show you will at least be informed. I have spent a lot of money on things that didn’t make much sense at all. I’ve blown hundreds on poor placed plants. I have purchased items that I may never use and that are better paperweights than anything else. These things happen. Listen to I AM Liberty and maybe we can help you avoid them. 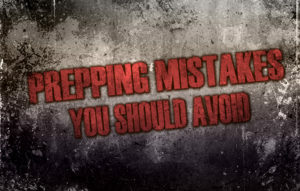 Listen to this broadcast or download “Prepper Mistakes” in player below!